I’m having some really bad relationship issues. My other half is abusive emotionally and mentally, he puts me down, and he puts the weight of the world on my shoulders. He’s really pretty inconsiderate and is completely unconcerned about my feelings at all times. He’s logical and mathematical, and I think maybe that’s why he can’t understand that I anxiously hang on his verdict constantly. I take it personally, probably more than I should. I go to him every morning looking for approval, and I’m tired of depending on his word to make me feel worthy of happiness. 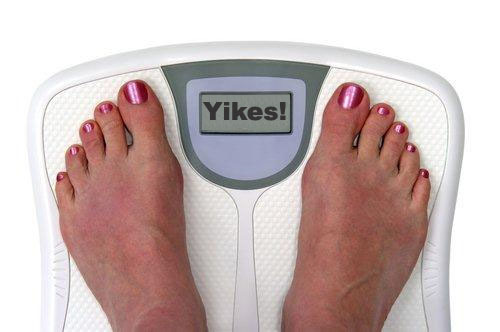 I’m breaking up with my scale. I’m up 5lbs from where I weighed just a week ago. Normally, this would be cause for panic. I would immediately go into a cardio binge and stop drinking my water to lose all the water weight I’ve accumulated. This time, I looked down and thought, “Well, I guess I’ll just keep doing what I’m doing.” To explain, I know that I should probably be up a couple lbs from that awesome time of the month full of sunshine and rainbow dust, but I have also been doing some pretty intense HIIT, tabata, and other strength training. In addition, I’ve been drinking 80-100oz of water a day. What’s even crazier is the fact that yesterday I admired my body and its abilities, feeling my swollen arm muscles after an hour of upper body work. The day before, I beamed as my quadriceps bulged under my thinning and constantly firming thighs. Why on earth would I let the scale say that my work isn’t worth it? How could I possibly justify giving up that awesome feeling of seeing new muscles and smaller measurements? Somehow, I let this number gain control over me so many times that I stopped weight training completely. This kind of mentality is what left me with loose skin on my arms, tummy, and legs after I hit about 65 lbs lost. It’s normal to see drooping skin with a huge loss of fat, but it is definitely exaggerated because I neglected my weight training in order to see the scale move. I struggle greatly with this extra skin because it makes me feel as though my work toward an ideal body is for nothing. Some days, I just feel like a fit girl in a shrunken fat suit. Now, in order to see any change in this loose skin, I have to greatly decrease my body fat percentage. One of the ways I can do that is to continue with training my muscles and building muscle tissue. I’ve heard it said that each lb of muscle you gain is 50 extra calories burned a day even if you’re idle at your desk, staring into oblivion. That’s really something. I looked down at the scale, assessing that 5 lbs, and I decided that it can’t stick around forever. If I continue doing exactly what I’m doing, having fun and admiring the machine that my body has become, how can I fail? There is no way that by eating well, exercising, and building muscle that I will simply continue to gain weight for the rest of eternity. That’s just silly. I might gain muscle, but I will lose fat; that was the ultimate goal from the beginning. Who am I to get upset about weighing in at a higher weight and STILL looking like a million bucks? Everyone has a different body type that affects how they look at any weight. In addition, my level of dedication to a healthy lifestyle directly determines what I will look like at 153 lbs, the weight I will be when I have lost 100 lbs. All of the women pictured above weigh 154. 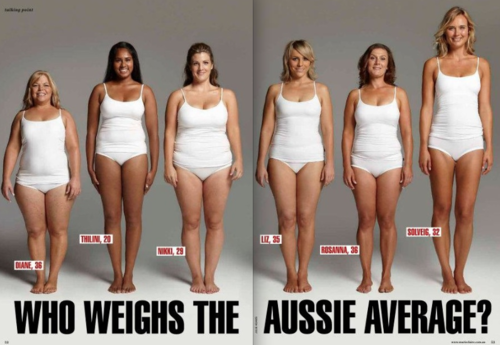 It looks different on various body types, heights, fitness levels… There is no perfect 154. There is no perfect anything. My goal is simply to be the best me I can be, and I can definitely achieve that if I just keep moving forward and meet my goal with determination. I have to do that by lifting heavy, drinking water, getting my heart rate up, eating right, and loving myself. I have to enjoy every moment, because I’ll never be here again.